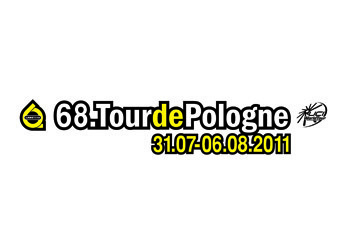 The 68th edition of Poland’s national cycling race, the Tour de Pologne, is upon us, and the stakes are higher than ever before. The race is now a part of the prestigious UCI World Tour, which also includes the Tour de France and Giro d’Italia, and for the third year results in the Tour de Pologne will count towards the UCI’s world ranking. As a result, the race will have more international flair, both in terms of participants and media coverage, than in years past. Many Polish riders look to leave their mark on a race that no Pole has won since 2003. The two Poland-based teams in the event are CCC Polsat Polkowice and Reprezentacja Polska – a national side composed of younger cyclists. Local fans should also keep track of Liquigas-Cannondale, a well-established Italian team that features two Polish riders, Maciej Bodnar and Maciej Paterski. Notably absent from the race will be their team-mate and countryman, Sylwester Szmyd, who finished 42nd overall in the recent Tour de France. Liquigas-Cannondale has opted instead to enter him into the Clásica de San Sebastián race in Spain. Regardless, the team will be more than compensated by last year’s Vuelta a España champion, Vincenzo Nibali. The Italian looks to be one of the main contenders for the Pologne title. To win, Nibali will have to overtake Ireland’s Daniel Martin, last year’s tour champion. The race gets underway on July 31 with the first stage from Pruszków to Warsaw, and concludes on Saturday, August 6, with ten circuits through the heart of Krakow. Along the way riders will face the varied terrains of Upper Silesia and Małopolska. The climax of the race will be in stages 5 and 6 when the participants will have to endure two days of strenuous climbing in the mountains around Zakopane. Whoever does best to survive the Tatras will be in position to finish on top of the podium before the 7th and final stage in Krakow. Twenty-two teams will take part in the competition, 18 pro teams made up from the elite of the UCI’s international rankings and four ‘wild card’ entrants. Both Polish teams in the event are wild card selections.